One of my most recent posts was about seeing The Bloody Beetroots at the Phoenix Concert Theatre, so it may seem like I was just there. I don’t get the chance to hang out around Sherbourne Station all that often, though, and it felt good to be back at the Phoenix. 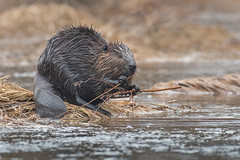 The driving rain and wind were a nice addition to the evening. I met up with Steve and his wife, Bree, after Haerts had already played a few songs. Haerts is. so. cute. 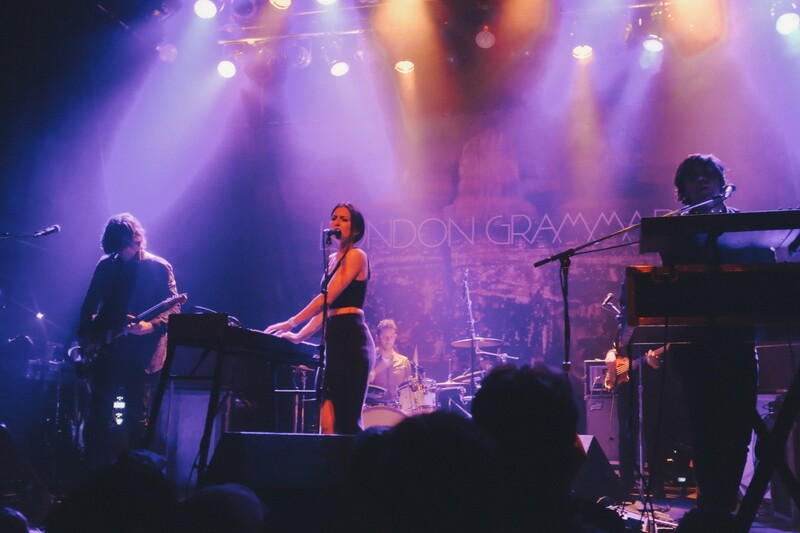 They are a four-piece band from Brooklyn, and relatively new on the scene. They just released their EP, Hemiplagia, in 2013. As you can see from this photo, Nini Fabi, lead vocals, is as adorable as her name in a black crop top and long skirt. 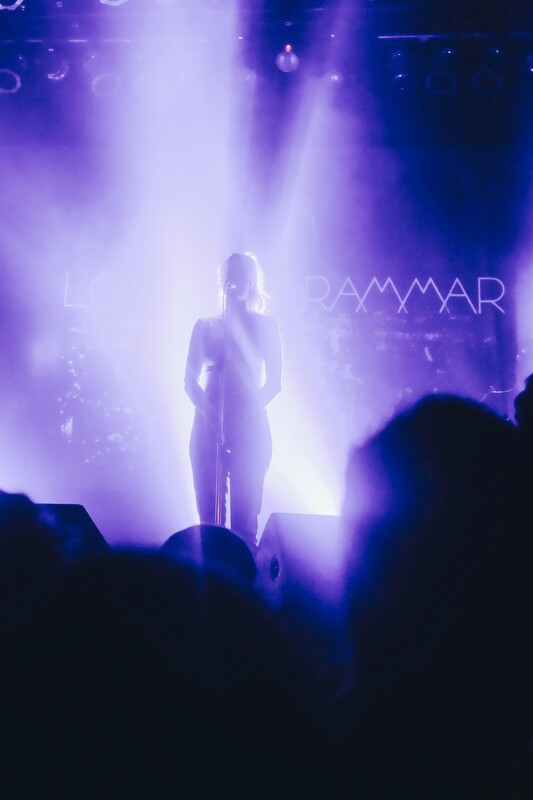 She modestly assured us that we were “in for a magical evening” with London Grammar, but Haerts proved their own worth in a short but energetic set. There is nothing cute about Fabi’s voice: it swoops and soars through the room, and then cuts you right to the bone for the crucial last note of a line. The band built up lush layers of sound around the lyrics, cushioning the audience in an ambient electro-80s cloud. The light show wasn’t anything to scoff at, either. My favourite song Haerts performed was “All the Days,” due to the unexpected lilt of Fabi’s voice in the first lines, but “Wings” is also a tart pop explosion that lingers pleasantly, like root beer on the tongue. “Call My Name” is a slower 80s jam, and Fabi belted it out passionately while gripping her microphone, with neck tendons taut, collarbone vulnerable. You can listen to Haerts’ songs, as well as some beautiful remixes, here. 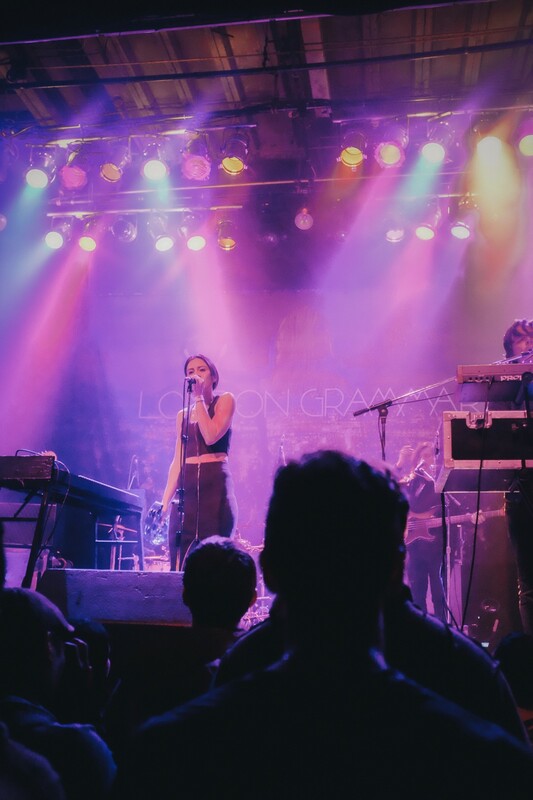 Yet another adorable and charmingly modest band, London Grammar is a trio from – you guessed it – London, UK. They released their first EP, Metal & Dust, in February 2013, and then released a full length album in September called If You Wait. Have a listen; you won’t be disappointed! There are also some wonderful remixes to be found when you click on that link, like the Tensnake remix of “Hey Now” at the beginning of this post. 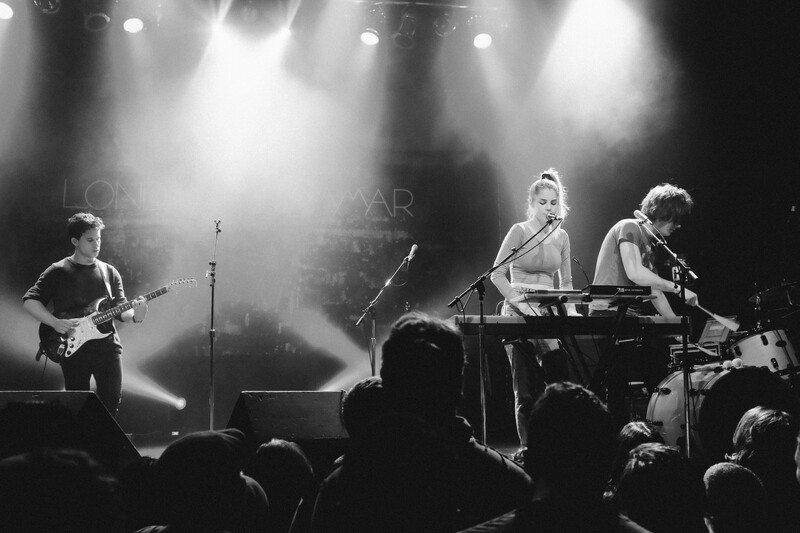 I’ve only been listening to London Grammar for a few months, but they’re really exploding on the scene. I guess we’re all about the powerful female lead vocals these days. Steve and Bree had already seen LG when they played last year in Toronto, and it seems they’ve come a long way from just singing on the stage with little banter and no fancy light show. Yes, just bask in that for a moment; I’ll wait. Once again, as cute as Hannah Reid is, her voice is all raw, truly awing power. She flawlessly executed every note, in a way that makes your heart ache and your skin shiver. The set went by incredibly quickly, since LG doesn’t have too many songs yet. But they were lovely to listen to the whole time, whether they were performing or telling stories about why they love Canada (including a story about Hannah getting a contact high from the audience smoking pot in the front row at their Vancouver show!). Hannah’s voice is exactly as it sounds in the recorded tracks: pure, mesmerizing, magical. Dan Rothman and Dominic (Dot) Major were perfect on either side of her, whether playing the drums, synthesizer, guitar, or crooning soothing accompanying vocals. They definitely held their own when Hannah left the stage to rest her voice for a few minutes. I loved all of their songs, but my absolute favourite has always been London Grammar’s cover of Kavinsky’s “Nightcall,” from the movie Drive. (In which Ryan Gosling is a terrifyingly awesome badass. Who can drive. You know.) They take the song and make it completely new, completely their own, and enrich our understanding of the original song in the process – exactly what a good cover should do. Monday night concert: not a bad start to the week, and for which it was completely worth braving the howling wind and rain. 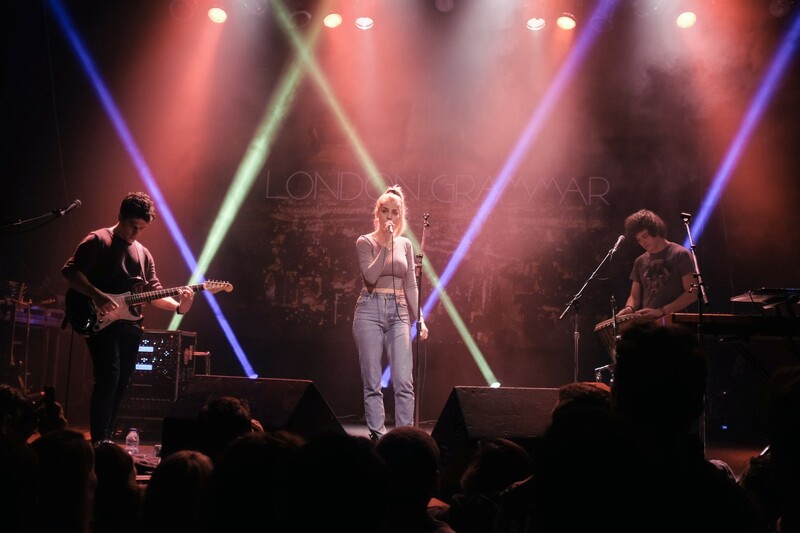 I’m excited to see how Haerts and London Grammar will continue to grow musically, since they’re both just starting out! See more of Steve’s photos of the night here.